When I asked about pattern suggestions for swim outfits for babies on the Sew for Boys Facebook Group, I got a nice collection of options: a romper by Made by Jack’s Mum, swim trunks and the Aloha Sunblocker from Peek-a-boo Pattern Shop, board shorts by StitchUponaTime… and I could keep going (maybe I’ll do a roundup someday)! But the one that really stood out to me was Peek-a-boo Pattern Shop’s High Tide Surf Suit. This is the one I chose to make Mr. L’s rash guard with. Now let’s talk swim fabric for a second. At the time I was needing to make this swimsuit, I could not find any fabrics I liked that would be appropriate for a baby boy, that weren’t board short material, and that weren’t outrageously expensive. I was this close to purchasing one I found at Spoonflower (because ooooh boy they do have some fun ones, but the swim fabrics are a bit out of my price range) but upon checkout I discovered I wouldn’t get it in the time frame I needed. So you know what I did? I went to my local thrift store and browsed women’s swimsuits instead! I gathered all of the swimsuits that had enough fabric to cover my little boy and then narrowed it down to two options that I could pair together. 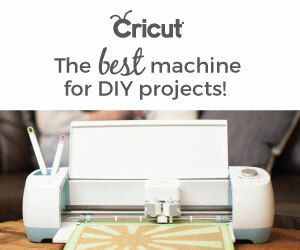 I also knew I had some HTV I could use with my Cricut Explore 2 at home to personalize it. Thus, this creation was born. I was falling in love with the striped tankini quickly so it was a bit hard to cut it up, but it was all worth it to see this cute little guy in the final masterpiece! The only negative thing I have to say about creating this is how ridiculously long it took me. Almost every step I made a silly mistake, like not cutting out the entire pattern piece (by the way, print page 35 even if it doesn‘t tell you to! You need it for the full zipper pieces!) or sewing the wrong sides together. Since I was using a serger to sew, each mistake cost me at least twice as long to unpick. I think I essentially sewed this three times over because of all the mistakes I was making. Does anyone ever have sewing projects like this? I think I need a little break! It was not going in my favor. So next time I make something, remind me to triple check everything I do before I do it! Fun fact: Mr. L has Down Syndrome, and kids with DS can develop a lot slower than typical kids. They reach all the same milestones, just a little slower. So Mr. L is 6 months old and isn’t able to sit up on his own yet. But he is mastering rolling over from back to tummy and back again! It’s so fun to see him move around on his own. Having him has definitely been different since my older two kids obviously were quicker at things than Mr. L has been, but I’ve really been appreciating the extra time I’ve been able to enjoy with each milestone he reaches. He is so sweet and peaceful and really the best baby in the world. Sorry moms. I know I‘m biased, but really. My baby‘s awesome. Ready for the free crab file? I actually found a clipart similar to this guy here, but I modified this one slightly to fit around the zipper better, have a smoother smile, and made files to work for both Cricut and Silhouette machines. I’ve got PNG, STUDIO3, and SVG files ready for you as part of my resource library. Access them by pressing the button below. Like this post? Please share via Pinterest with the image below! TIA! I feel you. I always make mistakes on a new pattern. He is adorable!!! This project is so cute and good tip on checking out thrift shops for fabric. I have had this happened to me where I’m so eager to finish a project that I make silly mistakes. Other times it’s also late at night so I’m very tired! Thanks for sharing! Downs kids are so sweet! You’re doing a great job, mama :). I don’t know if I could have cut into that swimsuit if it fit me – kudos to you for your bravery in that!! ???? It’s adorable on him! Oh sweet baby <3 That suit is amazing, putting those upcycles together worked out so well and the crab is just icing on the cake! Thank you Meriel! It turned out better than I imagined. Glad I am not the only one who makes mistakes. I was sewing something the other day and couldn’t figure out why it had me make it so small. Then I reread things. Your little guy is so stinking cute. Oh my!!! Sooooo cute!!! Love it! So cute and so much fun. The crab detail is awesome.